There are a lot of scary things we must do in life. Some of these include going to the dentist, getting a shot, starting a new job, or having a stranger in the house! When you call for service on your furnace or air conditioning system, you may be calling a stranger to come into your home. Day in and day out there is an article, a television sting, a report on customers being taken advantage of by poorly trained, unethical heating, air conditioning, plumbing or electrical service technicians. Before you have a company into your home you always want to find out some keep things about the company and the Technician that is coming out. That last item brings up some interesting facts that you should know. Plumbers and Electricians are licensed by the State of Michigan and are required to have a journeyman’s level of expertise for most work but there is no classification for a Journeyman Heating or Air Conditioning Technician. The leaders within the industry recognized this and set up the North American Technician Excellence (NATE) program. NATE is a testing program which requires a Technician to have a substantial amount of classroom and field experience to become certified in an area of the heating and air conditioning industry. There are about a dozen different classifications in which a Technician can become certified. The certification is only good for five years then the Technician must retest or have at least 60 hours of approved training. This is to assure the Technician is competent in the newer technologies since the changes have been coming rapidly in these fields. The need for higher efficiency furnaces and air conditioning equipment, the greater need for indoor air quality measures, the protection of the environment from refrigerants, and the use of electronic controls within the equipment and system controls has made the simple heating and cooling of a home far more complicated than just 10 years ago. 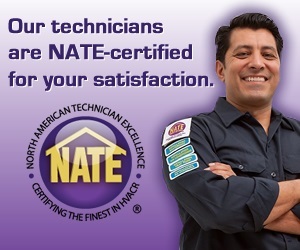 So you want to be sure the Technician coming to your home to service your heating or air conditioning system or installing a new system has the NATE certification. We provide information about the Technicians we are sending to your home in a variety of ways. 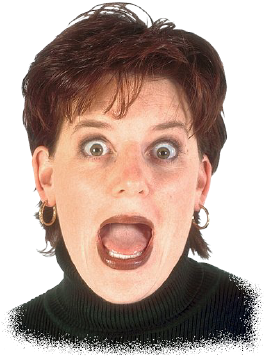 Our Customer Service Department can provide that over the telephone. We can email information to you before the Technician arrives. We also have information about our Technicians on our website for you to review. We are constantly training our Technicians and upgrading their customer service and technical skills so you don’t need to be scared of who is coming into your home. « What’s behind your Washing Machine?